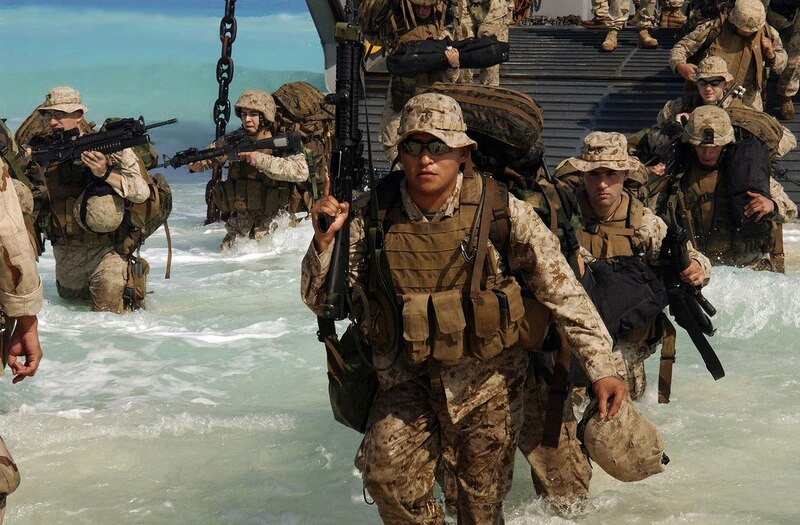 The Marine Corps categorizes its infantry by weapons systems and tactics rather than the specialties above. Marine infantry can enter the service as a rifleman (0311), machine gunner (0331), mortarman (0341), assaultman (0351), or antitank missileman (0352). 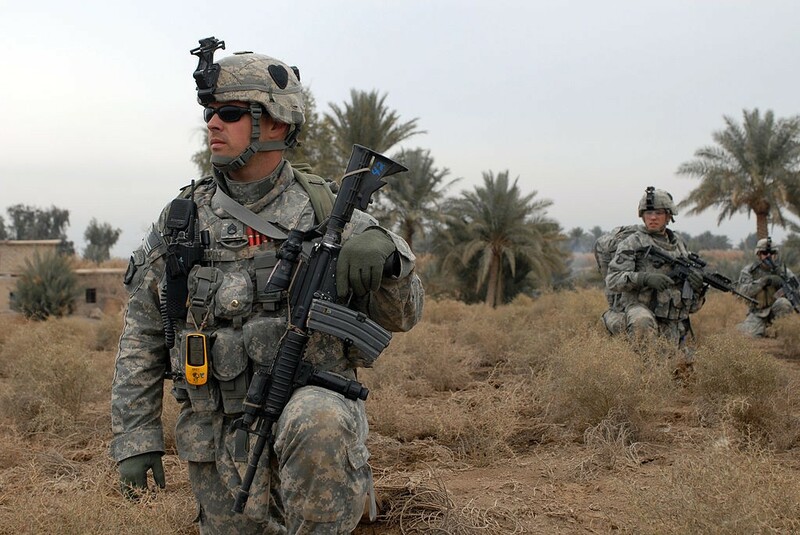 Soldiers can only enter the Army as a standard infantryman (11-B) or an indirect fire infantryman (mortarman, 11-C). 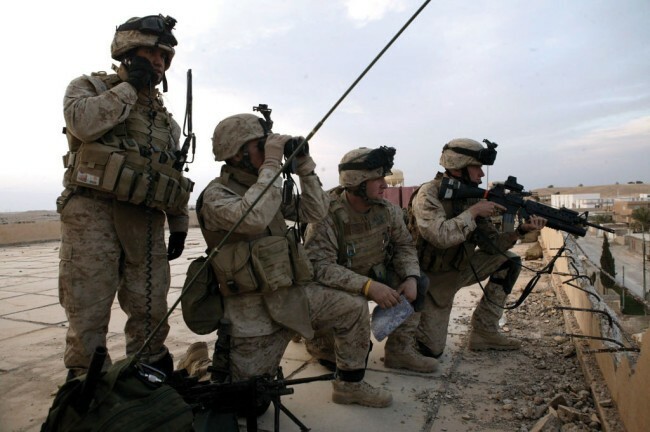 Marines who want to push themselves beyond the standard infantry units can compete to become scout snipers, reconnaissance, or Force Recon Marines. Scout snipers provide accurate long-range fire to back up other infantrymen on the ground. 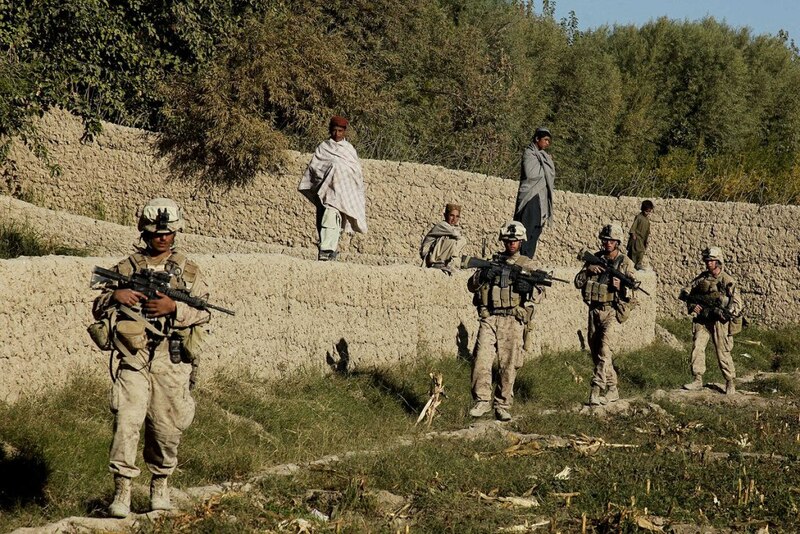 Reconnaissance Marines and Force Recon Marines seek out enemy forces and report their locations, numbers, and activities to commanders. Force Recon operates deeper in enemy territory than standard reconnaissance and also specializes in certain direct combat missions like seizing oil platforms or anti-piracy. Soldiers who want to go on to a harder challenge have their own options. The easiest of the elite ranks to join is the airborne which requires you to complete a three-week course in parachuting. Much harder is Ranger regiment which requires its members either graduate Ranger School or get selected from Ranger Assessment and Selection Program. Finally, infantry soldiers can compete for Special Forces selection. If selected, they will leave infantry behind and choose a special forces job such as weapons sergeant or medical sergeant. Infantrymen can also become a sniper by being selected for and graduating sniper school.